​Mother Earth has provided us with amazing beauty and she has provided so many ways in which we can heal ourselves by using her natural elements. Crystals, natural minerals with healing properties, promote positive change in the human energy field and are based on the principles of both physics and metaphysics. Crystals are tools that help us balance our inner energy, which leads to changes within our bodies on the cellular level. The Crystal Light Bed has 7 clear, highly polished Vogel cut quartz crystals that are suspended approximately 12 inches above your body. Each crystal has been cut to a specific frequency and is aligned above each one of the seven chakras. 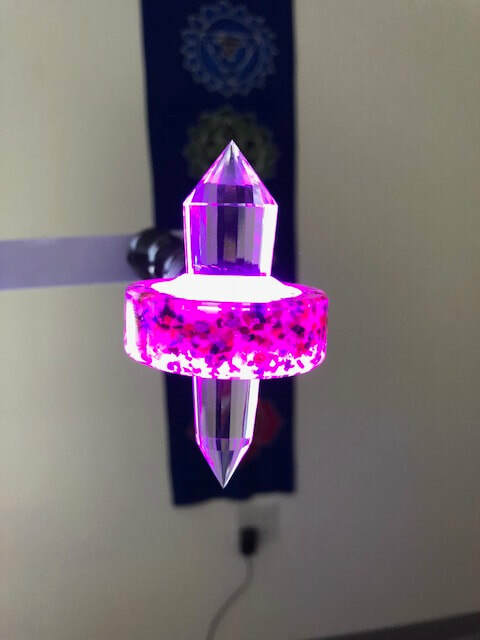 Colored lights, chosen to match the frequency of the chakra colors, radiate light and energy through the crystals to each respective chakra area in the body. The Sanskrit word Chakra is translated to wheel or disk. In yoga & meditation this term refers to wheels of energy throughout the body. To visualize a chakra in the body, imagine a swirling wheel of energy where matter and consciousness meet. This invisible energy, called Prana, is vital life force, which keeps us vibrant, healthy, and alive. Since everything is moving, its essential that our seven main chakras stay open, aligned, and fluid. If there is a blockage, energy cannot flow, which can lead to disease & illness. Crystal Light Bed Therapy cleanses the Chakras from lower energies and raises our vibration to assist well-being. 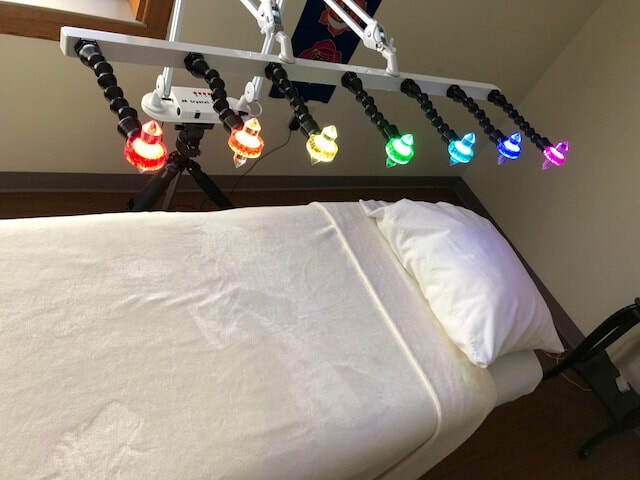 Crystal Light Bed Therapy is safe and non-invasive. You choose your lighting and music based on your preferences and then you set your intention for your session. Then simply remove your shoes and lie on your back, fully clothed, on a message table below the seven suspended crystals. Once you get comfortable, a cloth or eye pillow will be placed over your eyes and a plush blanket over your body. The next hour is yours to enjoy and fully let go and relax bathing in the Crystal Light energy. 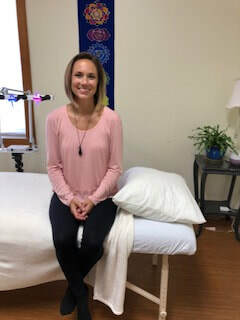 Crystal Light Bed Therapy appointments with Stephanie are available on Wednesdays and Thursdays from 3:00 pm until 5:00 pm and on Saturdays from 12:30 pm until 5:00 pm.